No charge for members. Join Now! Building a world-class center devoted to Abraham Lincoln took almost four times as long as the Civil War that defined his presidency. 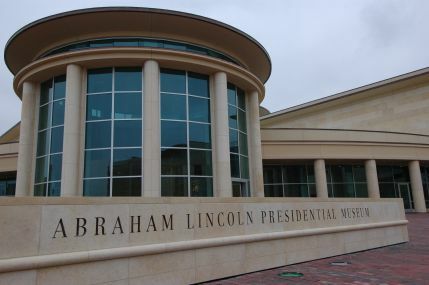 But the end result, a combination of rigorous scholarship and ground-breaking showmanship, has positioned the Abraham Lincoln Presidential Library and Museum as the most popular of the nation’s presidential centers and one that is being emulated by similar institutions around the globe. Planning for the complex that would become the Abraham Lincoln Presidential Library and Museum began with a 1990 feasibility study, followed by a comprehensive plan that determined the scope of construction, possible sites, and timeline for completion. State, federal, and municipal funds totaling more than $30 million were pledged, and with these monies in place the project was officially launched in December 1998 when two firms with international reputations were hired—architects Hellmuth, Obata + Kassabaum and exhibit designers BRC Imagination Arts. An early decision was made to construct the institution in two sections—a library portion, for the study and safekeeping of historical artifacts and documents; and a museum portion, where those historical items could be publicly displayed and tell a compelling story. From the start, BRC president Bob Rogers was determined to “combine scholarship and showmanship to connect the public to Abraham Lincoln’s life and times.” With his creative team, Rogers designed the museum with interactive exhibits, theaters, a children’s area, and a “Holavision” presentation using ghosts that interact with live actors. A panel of the world’s top Lincoln historians and teachers worked closely with the exhibit designers to ensure that the stories told in the museum would be accurate. In an unusual move, the museum was designed from the inside out to ensure that exhibits telling the Lincoln story took center stage. On February 12, 2001, groundbreaking ceremonies launched construction first of the Library in May 2001 and the Museum a year later. Included in the new complex was the rehabilitation of the 100-year-old former passenger-train station directly west of the Museum to serve as a tourism gateway. The Library, which opened in 2004, is the former Illinois State Historical Library, and it houses an unparalleled collection of Lincoln-related papers and artifacts, as well as an unrivaled collection on Illinois history. The Museum was dedicated on April 19, 2005, in a ceremony attended by President George W. Bush, First Lady Laura Bush, future President and then U.S. Senator Barack Obama, and about 25,000 guests from around the world who crowded Springfield’s downtown for the occasion. The public responded enthusiastically to the Museum, quickly making it the most visited presidential library and museum in the United States. 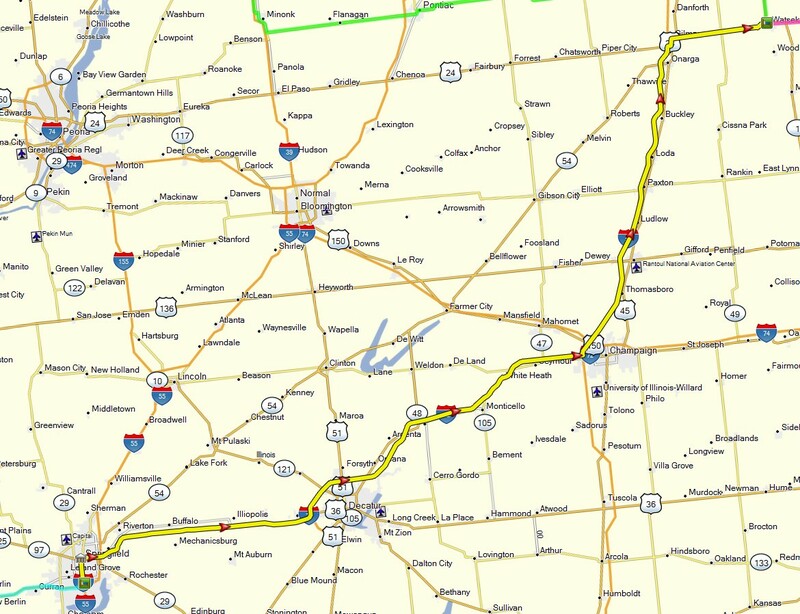 Attendance reached one million visitors on January 6, 2007, and two million on July 4, 2009. No presidential library and museum in the United States had reached the two million visitor mark more quickly. The three-millionth visitor passed through the Museum’s doors on August 21, 2012. Though the Museum features many inspiring exhibits on Lincoln’s life, visitors are awed by the Museum’s Treasures Gallery, which features a rotating exhibit of the most precious of artifacts related to Abraham Lincoln. Many of the exhibited items are from the Taper Collection, acknowledged as the largest privately held collection of Lincolniana in the world before its purchase by the Abraham Lincoln Presidential Library Foundation in 2007. In addition to permanent exhibits, temporary exhibits make other collections related to Lincoln’s life and times available to the public. The first of many one-of-a-kind exhibits opened in the Museum’s Illinois Gallery in April 28, 2007. Mary Todd Lincoln: First Lady of Controversy displayed dozens of artifacts—clothing, jewelry, photos, and letters—relating to Mary Lincoln’s marriage, her role as First Lady of the United States, and the emotional and mental distress she experienced over her husband’s assassination, the death of her son Willie, and her estrangement from her eldest son, Robert. There is so much to see in the Museum that many visitors make return trips to experience anew some parts and acquaint themselves with areas they may have overlooked. With temporary exhibits, special programs, guest speakers, and theatrical presentations, visitors can expect something new every time they walk through the Museum’s doors. This dramatic and magical special-effects presentation uses Holavision®—a proprietary holographic technology—to explain the importance of the Museum’s complementary Abraham Lincoln Presidential Library in preserving not just the history of Illinois’ favorite son, but of all Illinoisans. 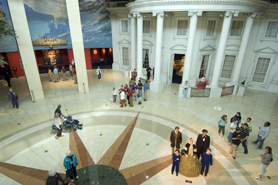 Lifelike figures of the Lincoln family greet visitors in the Plaza—the hub of the Museum. Pose for a photo before starting your own journey through the life and times of Abraham Lincoln. View dozens of items that were a part of the Lincolns’ lives. Family photos, china, and crystal from the White provide glimpses of the Lincoln family’s personal lives. In the center of this hall is a large cylindrical exhibit—resembling an upturned stovepipe. Essentially a gallery-in-a-gallery, this exhibit area is reserved for a rotating display of some of the most precious Lincoln artifacts.